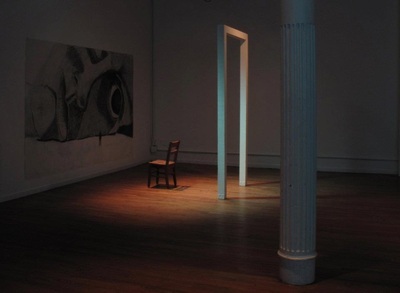 ​Joana Villaverde creates spaces that lack a sense of proportion and proper scale. 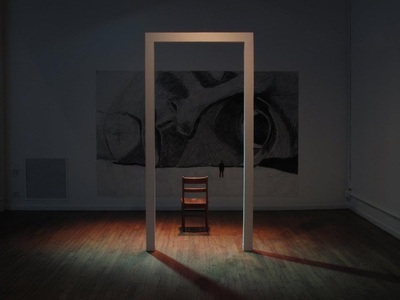 In her installation You Took from Me All the Air So I Can Breathe, an empty chair and a doorframe stands before a canvas, dwarfed by the large dimension of the portrait of a woman’s face. 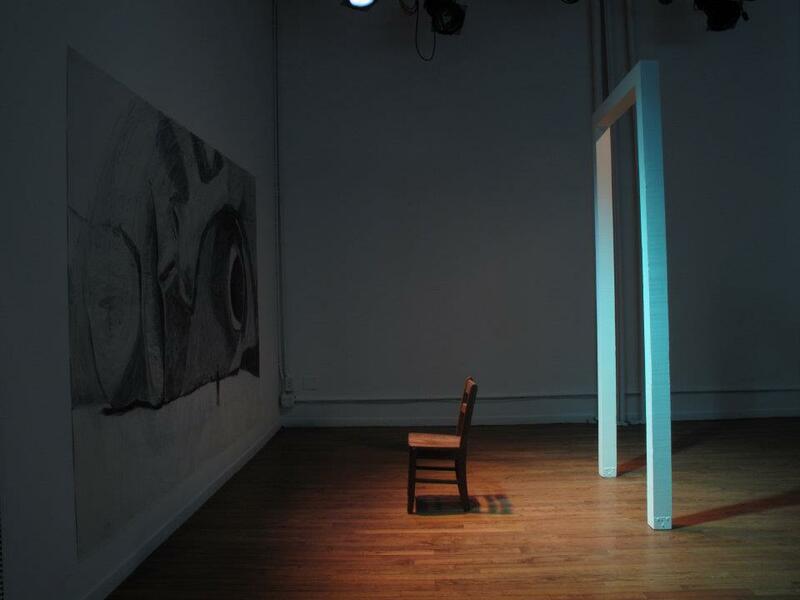 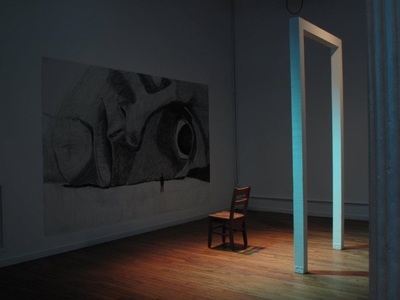 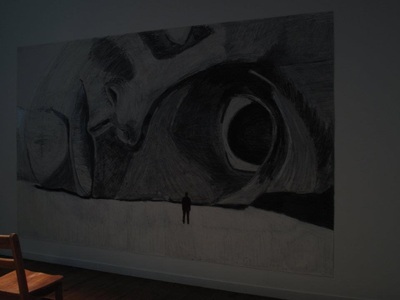 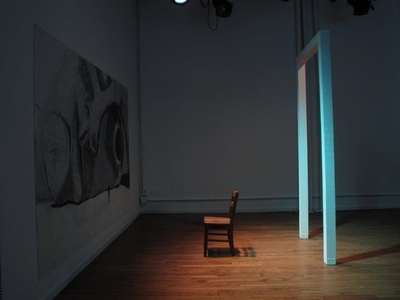 Although there is plenty of room between these objects, the gallery space becomes suffocating: the woman is too big for the painting in which she is entrapped, the chair is too small for its empty surroundings, and the door frame creates nothing more than an illusion of a place.